Hello beautiful souls! We realize when your human lives have turmoil and unforeseen adjustments along the way, that it may prove challenging to stand firmly in your power and let your light shine, but that is when it is most needed. Most of you were raised to please others, and shown approval for doing as you were told. So you grew up learning to push down your unique gifts and abilities, with the focus on being “people pleasers.” Which is really just imprinting the idea on you at an early age, that if you do not do what others want, they will not love you. We are here to tell you that nothing could be further from the truth. When you embrace your beautiful, pure, creative and unique self, others will recognize this and feel magnetically drawn toward your light. When you learn to stop trying to be the version that others expect and allow your authentic light to sparkle, everything will fall into place. By doing this, you are learning to dig into yourself – not in an ego induced way, but rather in a truly loving way- realizing you are a piece of God. In allowing yourself to shine for who you are, you are also giving glory, respect, and reverence to God; the Great Spirit of all that is. People and positive experiences will irresistibly gravitate toward you when you learn to stand in your power and be who you were designed to be, prior to all the programming from your experiences. If you discredit your true authenticity, you reject God and your life purpose. Stop renouncing who you are meant to be and worrying about what you believe others expect from you. Be yourself and take the time getting to know who you are, so you may then best move toward being your amazing awesome self. We see how many of you hold your energetic bodies very close; fearful of what others will think, but it isn’t about them and their acceptance, it is about you. Once you fully realize how magnificent you can be, and step into owning this power, think of all the outstanding things you can do to help others while still being the best version of yourself! Take a deep breath and push your energy back out where it belongs. You are not here to blend in, you are here to shine! Therefore, be sure to take some time each day, in what ever way works for you – because each individual is different – but spend time with yourself and be present with your thoughts, dreams and aspirations. The more you allow yourself to be present, the more you can delve into all the many aspects of yourself, and this is where your power lies – so use it fully to your advantage. This is probably one of the biggest problems we see with the human race; you still refuse to use all of the many resources at your finger tips. You continue to negate your power. You are a land within yourself of green fields, clear water ways, lush farmlands with plentiful livestock and vast housing, but most of you still think you live on a arid tiny parcel of land in a small shack. Learn to use all of these marvelous resources that thrive deep within you. Be that resourceful individual. Test yourself! Bend, stretch, jump, run…push your incredible machines in every way imaginable, even if that means you occasionally fall. You will rise again. For these are the things you were destined and designed to do. Take the proper amount of time to truly assess all your outlandish possibilities, for we tell you now, there is nothing outrageous about anything you might consider doing. Live the life you allow yourself to imagine and stop getting so wrapped up in the way you believe it is supposed to be. There are really no rules except for the ones you choose to set for yourself. So get out of your own way, for there is much work to be done. Each day that begins, we ask you to do something that seems “out of your league“ or “far too challenging,” because the more you learn to do what you have been led to believe isn’t achievable, the more possible the prior impossible will become. And you are destined for great things, so stop settling for a lesser version of yourself than what you are and who you came to be. Stop fighting it and dare to be yourself. 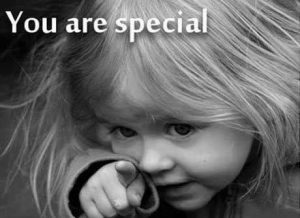 We know how special and spectacular you can be. We love you. We respect you. We fully comprehend this human school, where you are currently enrolled, is not an easy assignment. We get it, but it will go far more smoothly when you decide to be who you are, rather than trying to be who you believe you are supposed to be. Be your awesome self!